In terms of Memo No:868/MA/O/C-4/1E/2008 (Pt-1) Dated:06.12.2018 of the Joint Secretary , UD & MA Dept. (Municipal Affairs Branch), Govt. of West Bengal , Sub-Divisional Officer, Midnapore Sadar has taken over the charge of Midnapore Municipality as Administrator on and from 16.12.2018. 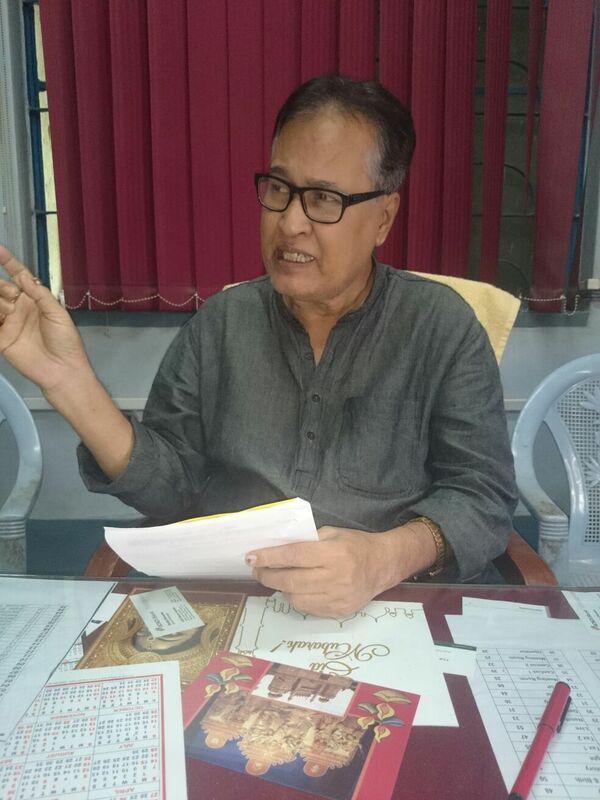 Sri Pranab Basu Chairman Midnapore Municipality . Midnapore, now the District head quarter of Paschim Medinipur District, stands on the bank of Kangsabati. It is well connected with the different parts of the district with highways and railways and a busy town of the South Bengal with a population of about 2 lakhs. The urban status of Midnapore dates back to the 19th century. Originally with all its agrarian hinterland was a town of landlords, businessmen, office going baboons engaged in different district offices and courts, some eminent lawyers and eminent teachers and educationist who adored age old educational institution of locality. It was also a center of many revolutionary activities in the pre-independent age. Midnapore Municipality was established in 1865, as an agency of the Govt. in the name of local self Govt. during the colonial rule the local development of the area was dependent on the British Govt. and local Govt. machinery. After independence and since the introduction of the 5 years plan local development works got priority but the planning process started from top to bottom. With the advent of time the planning process began to change and after the promulgation of the 74th Amendment Act of the constitution as well as after introduction of West Bengal Municipal Act 1993,it has become obligatory on part of ULBs to start planning from the grass root level. Accordingly the planning process was started at the ULB level. But after the introduction of JNNURM and organization of CMU & KUSP by the state Govt. the present process of planning gained momentum and the DDP has been prepared after following different stages of deliberations and discussions from the grass root level. However, it is the product of coordinated efforts of the employees, councilors, CMU & DLB officials and the member of civil society, but the present system of preparation of the five year plan is something novel to the ULB and there may remain some lacuna which we expect to mitigate in the year come. I owe my indebt ness to all who joined hands with us to make this Municipality more clean, more healthy and more prosperous and express my thanks to all.